What do you do with 1 gallon buckets? Well a number of things. Just like the versatility of 5 gallon buckets that we discussed before, 1 gallon buckets have more or less the same functions, only in smaller size. You can use 1 gallon bucket to store food products (make sure it's food grade plastic bucket) like macaroni and other short dry pasta. You can also use it to store stationary stocks for the study. Or you can use it as a container for your baked goods ready to be shipped to your loved ones. The 1 gallon EZStor buckets that we have in stock come in two slightly different shapes. One is short and without handle. 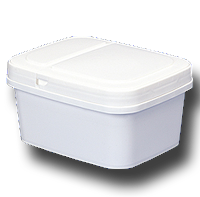 This is great to use for the shipping container for baked goods or simply as the container to stack up in the shelves or the closet for organization. The other one is taller and with handle for easy carrying. The tall 1 gallon EZStor pails are perfect for keeping grains or long dry pasta. They are also great to contain non-food materials. 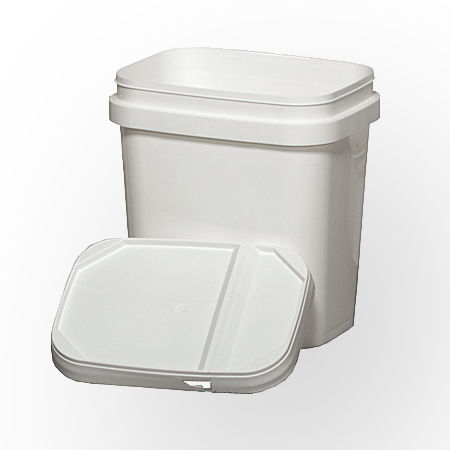 Of course the suggestion to keep food inside these 1 gallon EZStor buckets is because it is FDA food grade plastic container, so it's totally safe for you to use in contact with food. 1 gallon EZStor pails come in packages of 3, 6 and 12. The more quantity you are ordering, the cheaper each pail is. Check them out now. Click here for the short 1 gallon EZStor pail and here for the tall 1 gallon EZStor pail.